CMS Monday Night Assetto Corsa Competizione League - sign ups open! 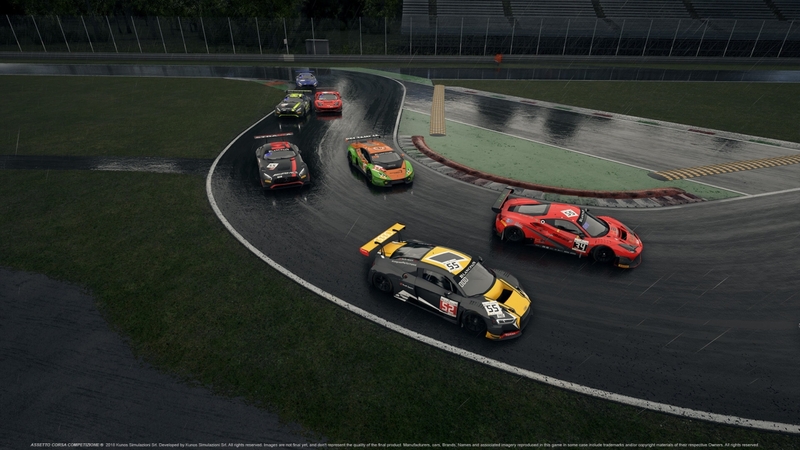 Thread: CMS Monday Night Assetto Corsa Competizione League - sign ups open! Drivers will participate in either a Pro or Am Classification - (Honor System for sign-ups however admin will set final classes at conclusion of Round 2 based on first two event results as well as the pre-season testing we did). For sign-ups if you are an alien or front runner typically please choose Pro Class. For sign-ups if you are a normal mid packer or novice driver please choose AM Class. We already have a test server up for drivers to begin testing the sim. Last edited by davidan; 04-13-2019 at 03:58 PM. This sounds like fun but the game doesn't support triple screens very well at the moment so I'll have to wait and see how the updates improve for triples before committing to the series. If it looks like the Lexus won't be released by round 1 I'll choose a different car. Last edited by Crispy Pepper; 11-27-2018 at 11:29 PM. Understeer, you SEE the tree you crash into. Oversteer you HEAR the tree you crash into. Great to see a few sign-ups rolling in! If everyone can please share with your friends, inside and outside of CMS! Lets get some great sign-ups for this. Visualization of a msg or event/series is I think very important in making it appealing or attractive. We need a series poster w/some dates on it, and add it to first post before we advertise the plans. I agree Jon, would you or someone be willing to help me build that poster?